The NSA is spying on everyone and there is no privacy. The government lies about who it spies on, the things they look at and who has access to all that information. Although the NSA is minimally limited by law in what its spooks can do without a warrant from a FISA court, even then they routinely ignore the requirements of the law and instead spy with impunity on anyone and anything they like. When the NSA does go to court for a warrant, only the government’s case is presented – there is no challenge to its claims – so the FISA court approves NSA requests more than 99% of the time. And there is next to no congressional oversight exercised over the FISA court, much less over the NSA. Nobody is watching the watchers. We enacted laws to protect whistle blowers, because we want to encourage citizens to call out wrong-doing and wrong-doers. Then we routinely shame and humiliate the whistle blowers, calling them traitors, spies and quite a few other names that would be expected if they came from a 12-year-old brat on a playground. We also end the careers and prosecute those same whistle blowers, this in order to discourage others from blowing whistles, lest actual wrongdoing be cast in sunlight and we expose the nefarious behavior of legislators and bureaucrats. It may be comforting to say, “I obey the laws so I don’t care about the ubiquitous snooping,” but that myopic and self-focused attitude is, well, myopic and self-focused, even to the point of self-destruction. Today they may be coming for the neighbor whom you don’t care about, but they will be at your door tomorrow and you will be presumed guilty. Not officially, of course. It’s just the way things will happen. Who will stand up for you? Shift for a moment to something that may seem to be a separate topic. I promise that it is not. I’ve been saying for years that we still haven’t learned all the lessons of our war in Vietnam. We intruded there on someone else’s civil war, arguably on the wrong side, and stayed involved for almost ten years, leaving the imprint on US history of this being the first war we lost. The stated reason for our intrusion was a lie – fighting the Communists there instead of in Kansas – and we further excused our invasion by claiming an attack on a US Navy ship, but that attack never happened. The war took over 58,000 American lives and well over a million Vietnamese lives. The one lesson of the war in Vietnam that politicians did learn is that they could not wage dishonest wars by means of a military draft. That was made clear by mass demonstrations during that vastly unpopular war. So, the draft is gone, replaced now by a volunteer military supplemented by civilian “contractors.” That word does not mean plumbers and carpenters. It means mercenary armies and ours are accountable to no one and they kill with impunity. Fast forward to 2003 when we inserted ourselves into Iraq for two lies – non-existent WMD’s and Saddam’s non-existent ties to al Qaeda – and we stayed there nearly nine years. That took over 4,500 American lives and hundreds of thousands of Iraqi lives. It also teed up an Iraq civil war that continues today with no end in sight. The killing goes on. There was just a handful of al Qaeda terrorists who attacked America. In order to bring them to justice “dead or alive” we sent battalions of our troops to Afghanistan to wage war on that entire country in 2001. As of this writing, we’re still making war there, with tens of thousands of people dead – nobody has a clue exactly how many – and over 4,000 “on our side” dead. It is not clear if the US will win this war, since the goals have shifted repeatedly. The original goal was the elimination of al Qaeda. Then it shifted to the removal of the Taliban from power in Afghanistan. Neither of those goals will be fully met. In fact, it is not clear what will be achieved. However, it is clear that we will have a very long term involvement there, well past the oft-declared 2014 “end of combat operations” date. Each was started under false pretenses – i.e., lies. Not mistakes. Lies. The goal posts were in constant motion. A lot of troops were wounded or killed without ever knowing what they had served. A lot of civilian contractors became extremely wealthy. A lot of politicians won office and stayed there thanks to contributions from wealthy war materiel contractors. The real question is why all of that happens and that “why” is the connector between unbridled spying and endless war. It is about pills. We as a people have accepted that the solution to our problems can be found in a pill. The biggest selling pharmaceuticals in America are psychotropics – Zoloft, Ambien and the rest. We are, to some degree, a continent of zombies. 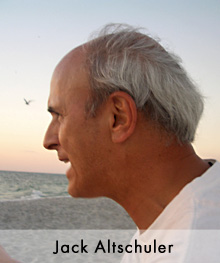 We cope by means of decreased sensitivity to what goes on around us. That’s good for Big Pharma. Not so good for the rest of us. “Pill,” of course, is a placeholder for all the ways we disengage, tune out. It includes the vague assumption that someone else will step up and handle the situation or that our little contribution won’t make a difference, a key rationalization for why only 37% of eligible voters will show up to vote on November 4, 2014. We as a people have been fed such a torrential river of lies, false innuendo, public stupidity and hollow promises for so long that we no longer believe in our government and we have dropped out. Indeed, public trust in government is at 19% and falling. We don’t engage with the things that fail to poke through the tough barrier of our own narrow vision. That lets those in power get away with making laws that promote terrible things, breaking laws on a whim and without consequences and with waging dishonest wars for decades. We are treated with sleight of hand so that we do not focus on the official unpatriotic actions and instead are exhorted with disingenuous pleas to “support our troops,” as though that is the only worthy test of patriotism. If you and I don’t all drop back in soon, all of that will continue until you have no privacy, no freedom and no safety at all. Eighty percent of Americans who know of the over-reaching, legislation-from-the-bench Supreme Court decision in the Citizens United v. Federal Election Commission case – the one that ensured unlimited money influencing our politics – want it reversed. That number varies by just a handful of percentage points, depending on respondents’ political views. This issue is the venue where ultra-left tree huggers and hair-on-fire Tea Party members can join hands, sing Kumbaya and wave Don’t Tread On Me flags, all at the same time. The trick in getting action on this is to expand the number of Americans who know about the CU decision so that we can exert sufficient pressure on lawmakers to pass the 28th Amendment to the Constitution to get big money out of our political process. It was to that educational purpose that I crafted the Money, Politics and Democracy program that I have been delivering to various local groups for the better part of a year. I delivered it last week to a fledgling group in DuPage and Will Counties who care enough about this issue to leave their front porches on a lovely summer evening and sit in a hot meeting room in order to learn. Be clear that I have another motive in my talk. It is to motivate people to take action. And it is to that point that I direct you to an essay by Jesmyn Ward in today’s New York Times entitled A Cold Current. Her story is about racism, the devaluing of people by “othering” and how we react to that. There is a parallel to her story in today’s economically punitive America. Think about the America you believe in, the one you want to leave to your children and grandchildren. Look deep into your notion of The American Dream. You better think about it, because we are crafting the America we will bequeath to your descendents right now. It is just possible that the dream that you hold dear for your dear ones and yourself is a different dream than that dreamed by the leaders of our pharmaceutical industry, our energy barons, the fabulously wealthy individuals – the 1%. That is because those people are exactly like everyone else in this sense: We all act in what we believe to be our best interests. I don’t even remotely imagine that the Koch brothers arise every day with sights on the evil they might do or the mischief they can create for most Americans. As the titans of Big Pharma spent $390 per second fighting Obamacare, they weren’t doing it to ensure that our healthcare system remains the worst among industrialized nations. Neither do the leaders of the American Petroleum Institute air its television ads with the pretty blonde in a black pants suit in order to create more super-hurricanes like Katrina and Sandy so that more Americans might suffer and die. They do those things because it is in their financial best interests to do what they do, so they spend the big money to make their voices heard. 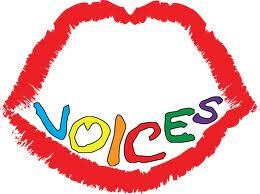 It is all about the voices. So, rather than putting your effort into demonizing the big bucks class in America, your energy needs to be focused on making your voice heard. Let go of any notion of instant gratification, because this is a long term push. Just understand this: If you don’t make your voice heard, people with a very different dream for America from the one you believe in will have their voices heard, because they will be the only ones talking. Now go read Jesmyn Ward’s piece. Read it first for her message about racism. Then read it again and substitute “classism” and you’ll understand. Are You an Old, Rich White Guy? Pollution is an ordinary part of manufacturing. For example, those shiny, chrome plated gizmos like your ballpoint pen and the reflectors of the tail lights of your car are bathed in toxic chrome when they are made and they drip chrome into the water that rinses them. Capturing that residual chrome is much more expensive than just flushing it down the drain, so chrome platers don’t much like EPA regulations that make them install expensive waste water treatment facilities. Those who own and run other companies subject to EPA regulations feel pretty much the same way. Come to think of it, lots of companies don’t much care for OSHA, the Occupational Safety and Health Administration, either. That government bureau makes companies do expensive things, like install safety devices that prevent people from being decapitated or electrocuted or having their hands chopped off in manufacturing machinery. OSHA requires construction companies to ensure that their employee wear hard hats so that their heads don’t get sliced or crushed. All of that costs money that companies don’t like to spend. Those pesky state legislatures have passed laws that require that your children be in child safety seats and that you be belted in and air bagged. All of that costs money that car manufacturers don’t like spending. Old, rich white guys like the Koch brothers and Sheldon Adelson and others who own the companies that we force to spend extra money in order to protect all of us want to do away with lots of government driven protection. They want that precisely because that protection costs old, rich white guys money. Indeed, over the years the car companies resisted pollution controls, safety glass, turn signals, safety belts and more because those things cost money. If you’d like to know more about the thinking of such people, those who seek money and power over all else, have a look at the words of Vice President Henry A. Wallace, Franklin Roosevelt’s number two from 1941 – 1945. He wrote a blistering Op-Ed for the New York Times on April 9, 1944 focused on American Fascism, the blending of government and business. You will likely find that the description in his essay is stunningly and disturbingly similar to our socio-political circumstances today, including the lying, the cheating, the demonizing and, worst of all, greed masquerading as patriotism. The bulk of that comes from old, rich white guys. You can find Wallace’s article here and here. The old, rich white guys are thankful that elections are so expensive that candidates have to continuously grub for cash, especially big pots of it, because then those who are elected become indebted to those old, rich white guys. That stimulates those politicians to take every measure possible to thwart legislation that might be good for most Americans who are not old, rich white guys. Those politicians do things like make it harder for non-rich, non-white Americans to vote, because doing so keeps the old, rich white guys in power and in the money and that keeps the politicians well funded and in office. The flow is so pleasingly circular. Our national history is replete with egregious examples of voter suppression and the current voter ID laws about to be enacted in Texas, North Carolina and Ohio are the newest. Those laws will disenfranchise millions of non-rich , non-white Americans and will have the effect of being the final nail in the coffin of democracy. Hail to the John Roberts Supreme Court for enabling those voter suppression laws through its democracy killing decision in the Citizens United v. FEC case. That completed the task of ensuring that old, rich white guys control all the money and all the power, a task started with naked hypocrisy by Ronald Reagan in 1981. In the not-too-distant future history may be written with deference to the old, rich white guys – after all, history is always written by the victors. But the multitudes who live in subsistence because of the loss of American democracy will not stay there willingly. The fight for freedom and liberty is never ending and we are at a tipping point in America right now. Are you an old, rich white guy? If so, things are working quite well for you and you like the path we’re on. On the other hand, if you are not an old, rich white guy you will care deeply about this far sooner than you might imagine. When it starts to pinch, you will squeak and you will fight back. 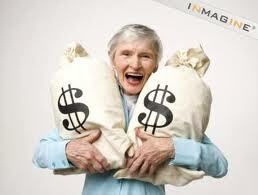 What do you suppose it will look like when 310 million Americans who are not old, rich white guys are doing that? I fear for us, because we always seem to wait too long to act and we have always been a violent society. Whatever your issue, budget, debt, global warming, immigration, guns, healthcare, civil rights or any other topic, the reason things aren’t getting better is because of something that controls your issue: Money. Big money. Big money that influences elections, politicians and distorts the will of the people into the will of the very few enormously wealthy people. For more on that, take a look at Larry Lessig’s TED talk. Should you doubt that big money influence is preventing the will of the people (that’s you) from being done, just recall the recent vote on background checks prior to gun ownership. Have you ever seen an issue in the United States where 90% of the people were in agreement? That’s highly unusual and one would expect those who represent us to get the message and vote accordingly. Didn’t happen that way. Enough of our politicians flagrantly voted against our wishes because of big money influence and they caused the wrong result. The Ben and Jerry’s Ice Cream guys have something to say about that. You can read about it here on the CNN Opinion blog. They explain it better than I do. Just because those gun money politicians defeated the sensible gun ownership background check that you wanted doesn’t mean that they can defeat everything that we want. We Americans are united in opposition to big money buying our elections and our country. So, get off your Barcalounger, get a stamp here and get the message out so that next year we will elect candidates who will begin to make things right. Is this issue important to you? Comment below and then email this to 3 friends. Those are the “due process” and the “equal protection” clauses of the Constitution. Look at the date of the amendment and consider what the amendment says and you’ll be quite clear about its intent: This was entirely about protecting and advancing the condition of former slaves. In the wake of the Civil War many southerners did whatever they could to retain their former advantage, this to the extreme disadvantage of former slaves, now free in name only, so this amendment was both clear and necessary. Eighteen years later a lawsuit appeared on the docket of the Supreme Court. 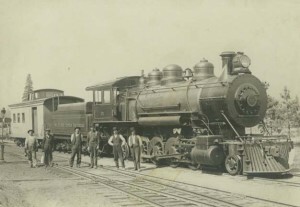 Santa Clara County v. Southern Pacific Railroad was a tax jurisdiction case that tested the provisions of then-new California laws against those of the federal government. The case was decided in favor of the railroad and, oddly, that turned out to be the least important thing associated with this lawsuit. The court reporter for the Supreme Court was Mr. J. C. Bancroft Davis. He, like other court reporters of his day, was far more than a stenographer for the cases presented before the court. Back then the job of court reporter was a most prestigious position and Mr. J.C. Bancroft Davis was actually paid more money than Chief Justice Morrison Remick Waite. Recordings of the proceedings were made with up to-the-moment technology, ink pen and paper, and Mr. J.C. Bancroft Davis had the good fortune to be allowed to publish his recordings of the proceedings and collect royalties for his efforts. Along with his best efforts to record the case by hand, he was allowed to publish what were called “headnotes”. These are comments of the court reporter and were not part of the court’s opinions or rulings, nor intended by the court as legal precedent. Indeed, headnotes were not even from the court proceedings, but were solely the comments of the court reporter. Corporate “personhood” was not tested before the court in this case; remember that this was a simple tax jurisdiction issue. That makes what followed Mr. J.C. Bancroft Davis’ writings the strangest part of this case: Davis’ headnotes, his editorial opinion, has been cited as precedent for all of the efforts to give corporations the same rights as flesh and blood human beings ever since. That’s right: A constitutional amendment that was designed to protect former slaves was and is being used to give artificial personhood to inanimate corporations. It is what is allowing billions of corporate dollars to influence our elections and bend legislation and regulation to the desires of those same corporations. It is what drives huge cash contributions to political candidates and influences voting in Congress. That strange and damaging precedent was set one hundred forty five years ago and we are still feeling its effect, perhaps now more than ever. Likewise, the decisions we make today will be felt by our descendents one hundred forty five years from now. That is to say, just as sure as the flow of impact from Mr. J.C. Bancroft Davis’ headnotes to us, there will be an impact of what we do today on our great-great-great-grandchildren when they are adults just like you. You can be passive and do nothing; that is your right as an American. After all, you have the right to vote, but not the legal obligation. You have the right to appeal to your elected officials to act as you prefer, but that is not a requirement of citizenship, either. On the other hand, you might want to close your eyes and envision the America you want for your children, your grandchildren and, if you can see that far, for your great-grandchildren. Likely, if you do nothing, that’s not what they’ll inherit. Indeed, unless you speak up, the vision of people who want a very different America from the one you want will be the America of tomorrow, because those people will be the only ones talking. Perhaps you really do have something to say to your legislators. Go ahead. Tell them. Now.